This super special effect will amaze your wedding guests (and most likely yourself!). This no-residue effect adds the most special effect to your wedding first dance. 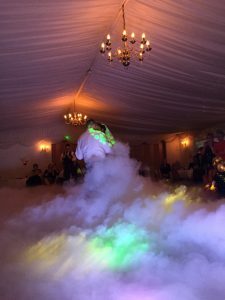 It can be used at any indoor location and can be added to any wedding disco booked with me.